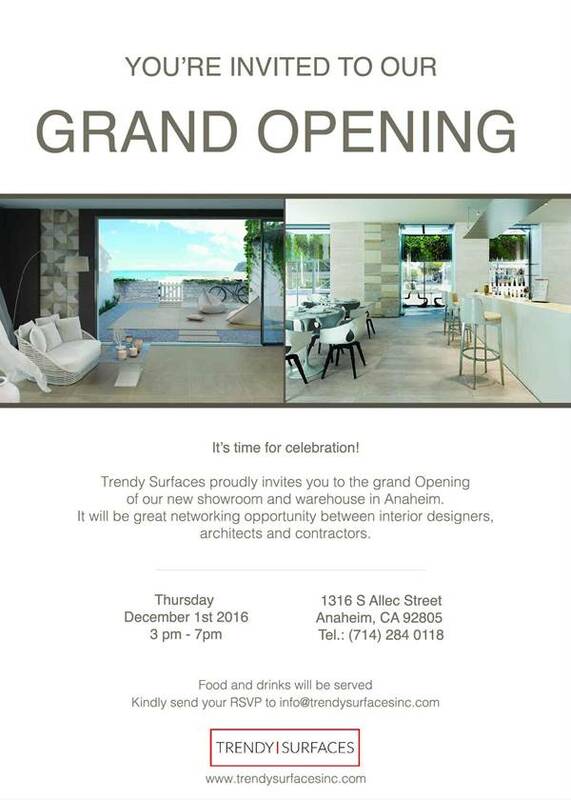 You’re Invited to Trendy Surface’s Grand Opening in Anaheim! Trendy Surfaces proudly invites you to the Grand Opening of our new showroom and warehouse in Anaheim. It will be great a great networking opportunity between interior designers, architects and contractors. Next Post:One Room 12 Ways Featuring Nazgol Seyedi! 2019 IDS Real Estate Group © All Rights Reserved.